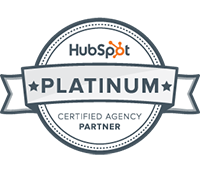 Equinet Media is a HubSpot Gold Partner and inbound marketing agency. We only work for manufacturing companies and professional service firms. We deliver inbound strategies, inbound implementation and content creation for clients. And we build intelligent websites that drive engagement and qualified leads. Unlike a ‘contractor’ service, judged more on output, we take a ‘strategic partner’ approach. So we deliver outcomes that correlate with your business goals. We care about our culture and obsess over making a meaningful difference for clients. So we only take on new work when we are sure we'll be a good fit. We don’t do stand-alone projects or one-off content commissions. We focus on creating high-value content for retained clients. Thus avoiding the peak-and-trough disruption that can impede client workflows. Not a general marketing agency – we’re not a good fit if you’re looking for general marketing support. Equinet is a specialist agency with specific services that we strive to hone and perfect. If you're looking for the lowest cost option. We’re specialists, so don’t offer generalist fees. Some agencies charge less for their services. So if you’re searching for price alone, we’re likely not a good fit. You’re not looking for growth – we’re not a good fit if you’re not committing to growth. We focus on building and measuring growth. If that’s not what you want, we’ll not be the right partner. You don’t have buy-in from the top and are not addressing this. Gaining consensus for inbound fares better than ordering its implementation. Importantly there is a separate planning tab for each of the social accounts - each social platform is very different and so ensure your messages are tweaked for those audiences. The download comes with a 'how to guide' to explain how the template can be directly uploaded into HubSpot's social media tool - saving time and increasing your team's productivity. I particularly like the monthly planning calendar. This sheet gives you an overview of your plans over all platforms throughout the month. What are your key objectives for that month? How will you use each social platform to your advantage? A great tool to also make sure you continually evaluate your social media strategy; I'd recommend doing a quick analysis at the end of each month to examine what went well, what didn't go well and where you can improve. Consistent analysis of your social media is key. With analysis, you will also be able to examine variables such as what times of day are best for your business to post. There are many, many blog posts and reports that examine the best times to post on social, but your business is completely individual and going with what works for the many might not be best for you. For example, if you have customers logging on in different time zones - you will need to account for this in your planning. "Don't forget to interact with your followers"
Although you may have nailed your social media calendar and may feel like skipping along for the next month, it is essential that you interact with your followers. Has your post been shared in a Facebook group? Make sure to thank them and perhaps make a note to monitor the group - what are they talking about? What could you add to the conversation? Can you join the group as your business page? The calendar can also make sure you incorporate upcoming events to promote, national days that you may want to mention (#NationalSiblingsDay #NationalPetDay - there is a day for everything!) and ensures that you keep your social messages fresh. On our recent Certification Day, I completed HubSpot's Social Media Marketing Course and I would highly recommend this course for even the savviest of social media managers out there. 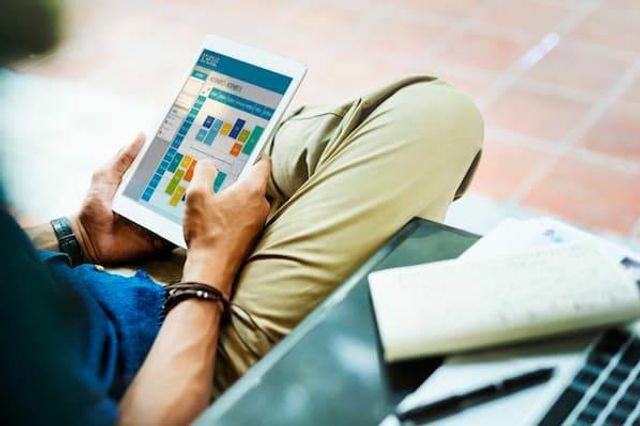 To make social media content easier for companies to plan and schedule across the accounts they manage, we created a social media content calendar template. And recently, we updated to be better, faster, stronger, and just generally prettier. Are you defining the right buyer persona?